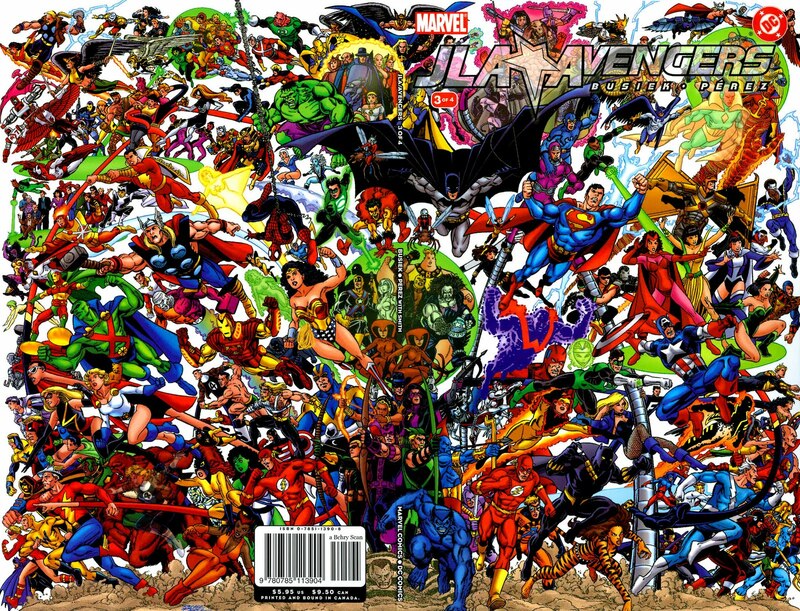 In 2003, we got the ultimate fanboy crossover: JLA/Avengers, written by Kurt Busiek and drawn by George Perez. In it, upon first glance, Hawkeye keeps saying something is familiar about the Justice League. 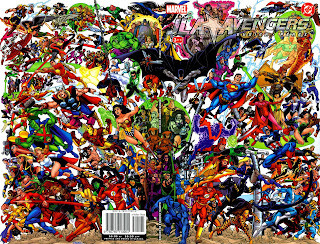 So when the Justice League finally meets the Avengers face to face, Hawkeye mutters a particular line. 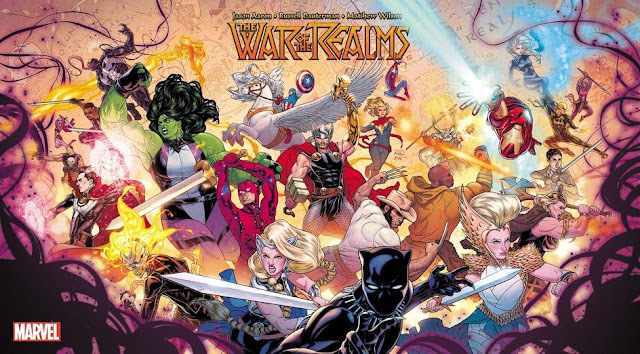 Which is an in-joke, because the Squadron Supreme was created to specifically be Justice League substitutes for Marvel - that is, they were created to be stand-ins for the Justice League that the Avengers can interact with at will. To explain why they fight often, the Squadron often gets mind-controlled. 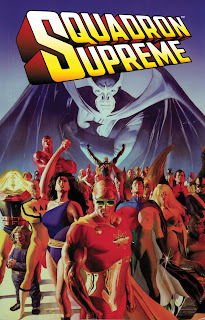 The Squadron Supreme by Mark Gruenwald and Bob Hall, by the way, is a genuinely revolutionary comic book. Go read it!